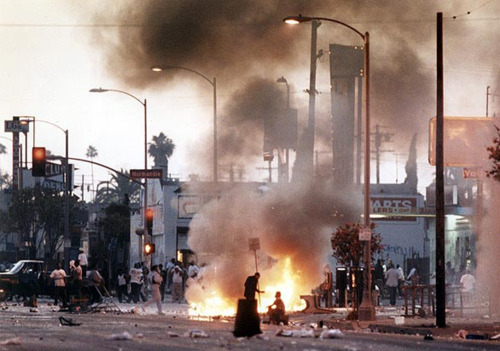 For many of us, the images of the 1992 LA Riots is something we will never forget. Its aftermath left our city wounded, scarred and divided, often on racial grounds. But 20 years later, God is reconciling what was broken. To commemorate the 20th anniversary of the LA Riots, a multi-ethnic coalition of faith leaders is joining forces to bring long-needed healing and forgiveness to our communities. The campaign is called SAIGU, named after the Korean name for 4-29, the date the riots spread across Los Angeles and affected so many lives. The SAIGU L.A. Riots Committee’s vision is to revisit a tragic chapter in our city’s history for the purpose of celebrating unity on the 20th anniversary of the riots. The L.A. Riots were a catastrophic event that impacted millions of lives, exposing the racial, economic and political disparities of the time. While the damages of the L.A. Riots are still not forgotten by our communities, we believe that commemorating this moment in history can serve as a catalyst to educate, mobilize, and bring Los Angeles and America together during these difficult times. The LA Riots SAIGU Planning Committee consists of elected officials, multi ethnic, interfaith leaders and community organizers. In that spirit, more than 6,500 people will gather at the Glory Church of Jesus Christ. (formerly the Olympic Grand Auditorium) to reignite our efforts to build trust and reconciliation through candid dialogue. For more information on how you can attend these events, have your voice heard or volunteer for the cause of restoration and reconciliation in our city, please visit SAIGU’s official website.